At Affordable Elegance Bridal we are all about wedding veils. But if you are looking for alternatives, we've got you covered! If you have decided not to wear a traditional veil at your wedding, we have some elegant alternatives for you. Birdcage veils are made of French or Russian netting or bridal tulle and come in a variety of styles and colors. They can be worn with or without a decorative comb or pin. 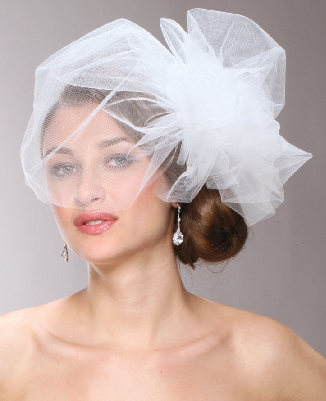 This veil features the addition of rhinestones amidst the netting plus a chic feather fascinator. A great accessory for a vintage inspired wedding. This sophisticated birdcage veil is made of bridal illusion tulle and would be ideal for a chapel or garden wedding. This gold birdcage veil features champagne lace appliques. 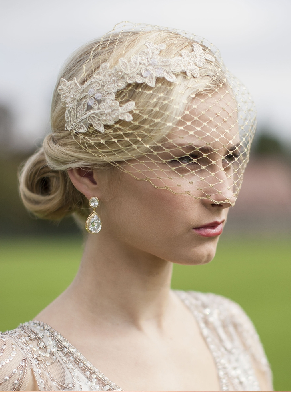 An elegant accessory for a vintage inspired or Great Gatsby theme wedding! For those who love the romance of the Renaissance period, this haute couture Juliet cap will provide a vintage wedding statement headpiece. This lace Juliet bridal cap is accented with a floral hair clip with a crystal and pearl cluster center and ostrich feather sprays. 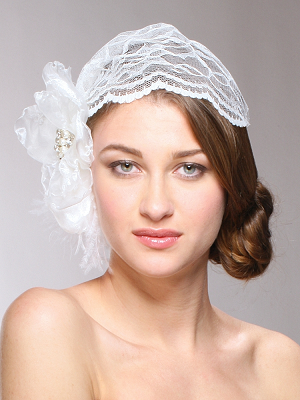 A decidedly feminine veil alternative is the lace headband. 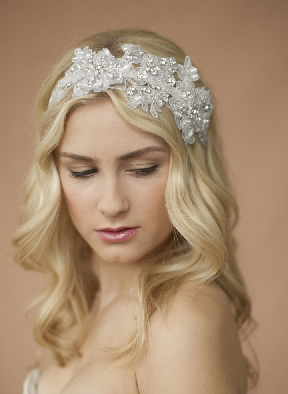 This captivating headband features sculptured lace accented with Swarovski crystals and sequins for brilliant sparkle. It ties behind the head with ribbons. This unique wedding headpiece combines beautiful floral lace and French netting in a remarkable ribbon headband. 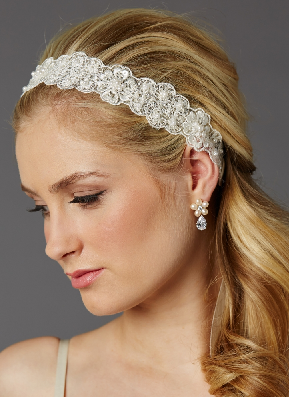 This ultra feminine headband features European lace accented with baby pearls and sequins. A high fashion hat can be a beautiful veil alternative as well. This bridal hat exudes vintage charm with a Russian netting bow, feathers and crystals. This sophisticated wedding hat features a beaded floral decoration accented with feathers. This fabulous bridal hat has it all - a pearl lined hat with flower, crystal and feather accents coupled with a rhinestone decorated birdcage veil! We love it!